The Chouquette is without any doubt my favourite French viennoiserie. This is always the first thing I am buying when I have the chance to spend some time in France. But what is the chouquette? 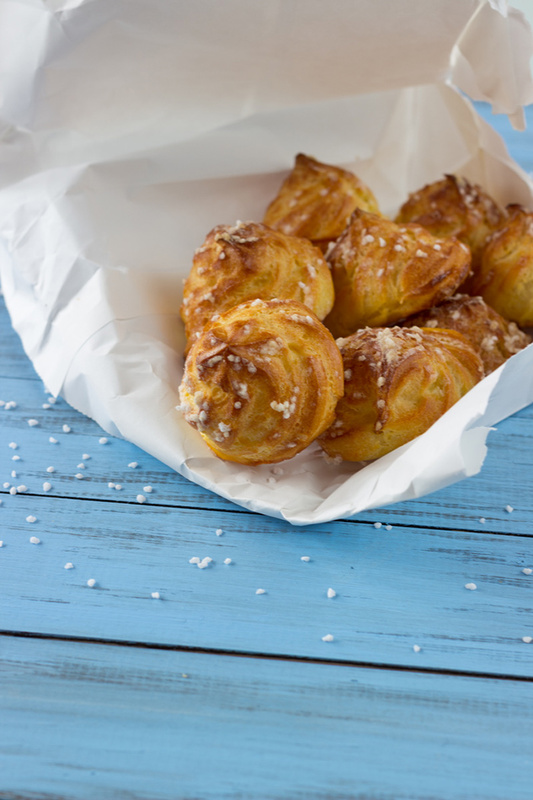 Did you ever hear about these delicious viennoiseries? 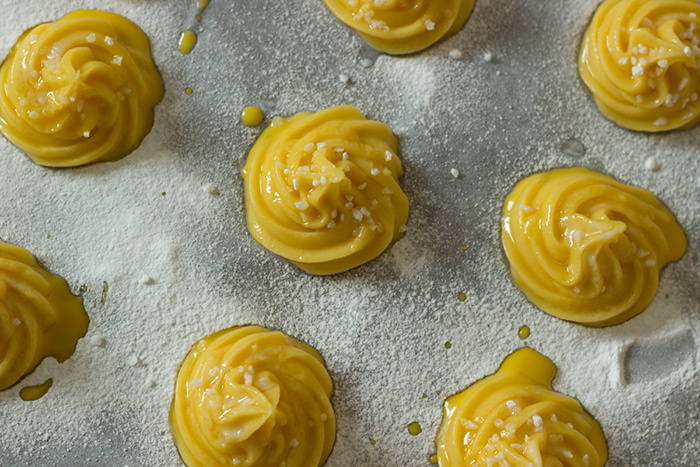 This is a choux sprinkled with pearl sugar. I love travelling and I had the chance to travel a lot and I never found this little vienoiserie anywhere else than in France until now. Maybe your bakery next door are baking them. Then let me know about it! Dice butter. 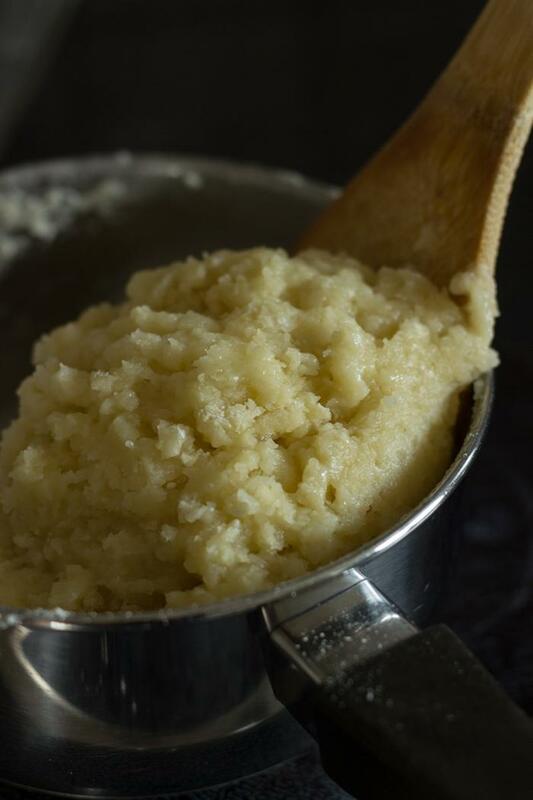 Add water and diced butter in a little saucepan and bring to a boil. Quickly remove from heat and add all flour in one time. Then mix really quickly until you obtain a ball not gripping. Heat again with really low heat for a few seconds. Pull this ball in a mixing bowl and add the first egg. Stir very quickly until you obtain again a paste. Do the same with the other eggs, one by one. 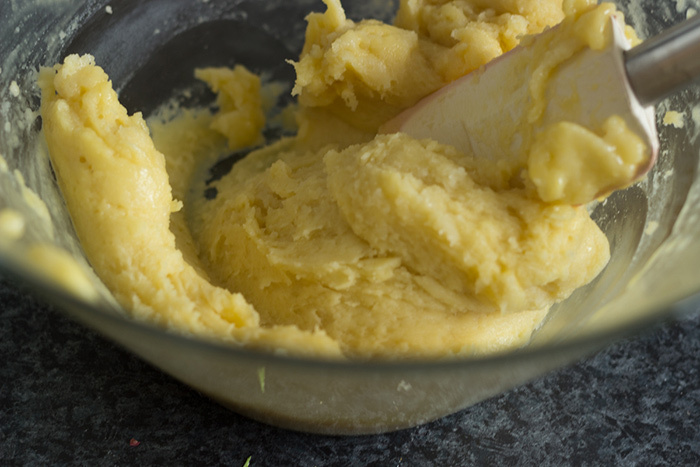 Be careful to not have a paste too liquid because then the chouquettes will not rise. 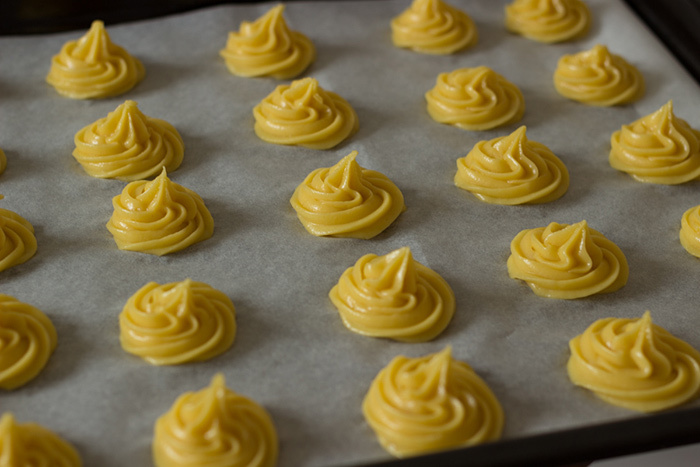 When your choux paste is ready, preheat your oven to 200°C (400°F) and place a greaseproof on a baking tray. 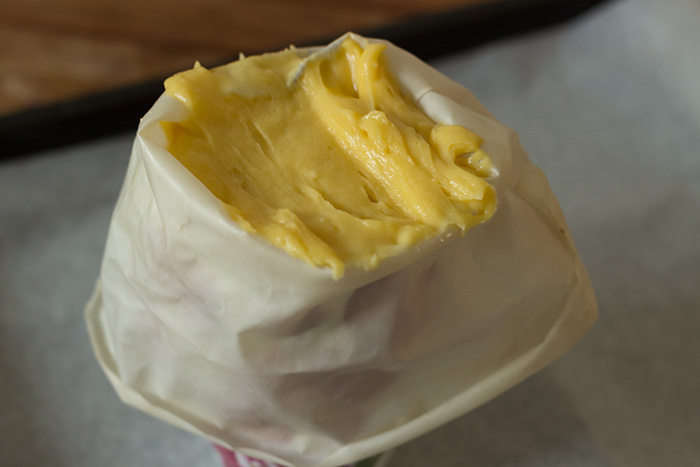 Fill in your pastry bag with the choux paste and make your choux. Mix one egg yolk with 1 tablespoon of water. Brush chouquettes with it. Add iced sugar and then sugar pearls on top of the choux. Bake for 15 minutes and low down temperature to 180°C (350°F) for 10 minutes. Remember to never open the oven during the baking! It worked for me! Remember: If you want to conserve the chouquettes, you have to put them in an airtight box. Les chouquettes ! Miam ! Je les ai souvent mangées quand j’habitais sur Paris, mais j’ai du mal à trouver de boulangerie qui les vend depuis mon retour aux states. Maintenant il faut juste que cherche du sucre perlé..
Ça ne devrait pas être si difficile… J’espère pour toi :). J’en ai bien trouvé en suisse allemande! Bonne chasse! It is my favourite French pastry! Love your site and creative flair!! And it is really good! Thanks! Oh Yum! Excuse me, am just going to the kitchen to see if I have all the ingredients! I’ve never heard of these! 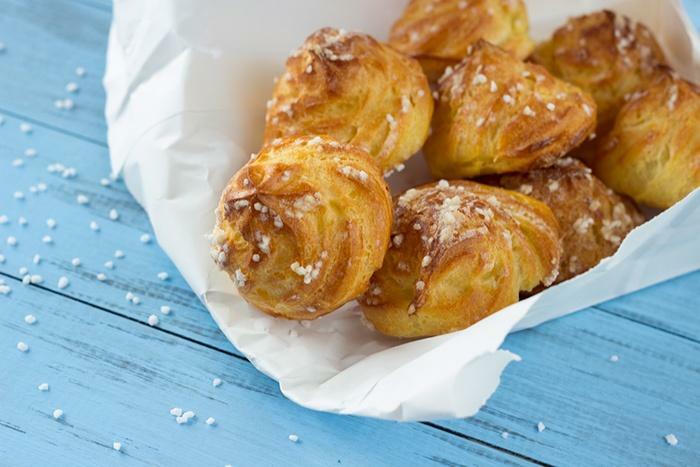 They’re like gougeres without the cheese!